A large crowd gathered in Taksim Square, Istanbul, on Saturday 25 February to commemorate the 20th anniversary of an event they were calling the Khojaly Massacre. Evidently there were some unruly elements, and among the placards there were a few thinly veiled threats against Armenians and locals who might be inclined to sympathise with them. A little unpleasant, but you get that kind of stuff at any demonstration, right? Still, you’d have to be curious about the event, wouldn’t you – the Khojaly Massacre? What’s that all about? Well, I can tell you, the incident occurred back in 1993 during the local war that had broken out between neighbouring states, Armenia and Azerbaijan, over the disputed territory of Nagorno-Karabakh. The problem apparently was/is that, despite being located within the borders of Azerbaijan, the area has a majority Armenian population, which provided the Armenian government with a reason for sending in troops and annexing it. Unfortunately, as in any war, the casualties included not a few civilians, and the bloodiest incident took place in or around the town of Khojaly. Needless to say, accounts vary according to whether you’re listening to the Armenian or the Azeri side of the story – how many women and children were slaughtered, how it was done, and what was done to them beforehand. Anyway, to cut a long story short, Nagorno-Karabakh became a pseudo-independent state sponsored by Armenia, and the Azeris remain pretty unhappy about it. Now, you may or may not know that Turkey and Azerbaijan have a kind of big brother-little brother relationship. Azeris speak a Ural-Altaic language that is the nearest relative in the world to Turkish. If you speak Turkish, you can watch Azeri television, get a few patronising laughs, and understand about 60-70% of what they’re talking about. Accordingly, in a show of solidarity with their smaller sibling, the Turkish government closed the border they share with Armenia. ‘So what?’ you may think. Armenians don’t love Turks that much. They’re probably happy to have a closed border. But take a look at a map. Armenia is a tiny, land-locked country, surrounded by some pretty shady, even dangerous, neighbours. Ironically, Turkey is probably the least threatening among them, and certainly provides the most stable and direct route to the west for goods and people travelling in and out of Armenia. For Armenians abroad, making the Turks admit that they planned and carried out a genocide is supremely important. Indeed, it has become a core part of their identity. For most of those who are still in Armenia, getting the Turkish border re-opened is a higher priority. Their poverty and isolation are so great that a quarter of the population has emigrated since the border was closed [in 1993], and trade with their relatively rich neighbour to the west would help to staunch the flow. Vartan Harutiunian a writer and human rights activist in Armenia, and political prisoner in the days when Armenia was part of the Soviet empire, has suggested that self-pity and anti-Turkism lie at the heart of Armenian nationalism. ‘The most patriotic Armenian’, he says, ‘is the most anti-Turkish’. ‘The separation of Armenians and Turks in 1915 is a comparatively recent phenomenon. In order for an understanding to be reached between the two nations regarding the genocide of 1915, it is first necessary to re-discover the history of two peoples living side by side harmoniously for hundreds of years . . . An understanding of this is the first step in re-humanising the relations between the two nations and promoting reconciliation. Armenians and Turks have dehumanized each other, often understandably, in the process of maintaining their separate cultural identities. Armenians learning about the genocide are led to believe all Turks were (and by extension still are) inherently evil, ignoring the many Turks that endeavored to save Armenian lives. Correspondingly, Turks alive today who bear no responsibility for the events of 1915 are incensed by accusations that they are guilty of a crime not committed by them. There’s a tone of calm, balanced reason there, don’t you think, that is not commonly heard when this issue is discussed? Nationalism has been a two-headed monster since it surfaced as a rationale for political action towards the end of the 18th century. Unscrupulous seekers of power have been all too ready to unleash its forces of unity and aggression to further their own ends. Anatolia and the Balkan lands have been traversed and conquered by so many races and peoples since time immemorial that it is impossible to know who were the aboriginal inhabitants. The search for racial and national purity is futile, yet the very diversity of ethnic and linguistic groups drives a powerful need for identity. One admission can be readily made. The ancestors of today’s Armenians have been in Anatolia longer than Turks – but relativity is an important factor here. The Seljuk Turks won the victory that allowed them entry into Anatolia around the same time that the Normans defeated the Anglo-Saxons, and asserted their right to rule England. It would be no easy task these days to separate out the descendants of the Norman invaders and send them back to France. Even if we accept that the invading Turks rode roughshod over the democratic rights of those who controlled Anatolia at the time, it was the Byzantine Greeks, not the Armenians who were in charge. As far as I can discover, there was a Kingdom of Armenia in ancient times, experiencing a brief Golden Age between 95 and 66 BCE under the rule of Tigranes the Great. Centuries later, there was a period of independence between 884 and 1045 CE, when the Bagratuni dynasty ruled from their capital city of Ani, now an uninhabited ruin located in Eastern Turkey. Apart from those interludes, Armenians have been a conquered people, ruled successively by Assyrians, Greeks, Romans, Byzantines, Arabs, Mongols, Persians, Ottomans and Russians (Imperial and Soviet). Some historians argue that the Ottomans were the kindest and most tolerant of these masters, allowing cultural, religious, linguistic and economic freedom to a privileged people within their imperial borders. Nevertheless, being a minority people within a dominant culture is not an easy condition to bear. There will always be voices saying that independence and autonomy would bring greater happiness – and who is to say they are wrong? The artist, Mkrtum Hovnatanian (1779-1846), was among the first to foster a consciousness of Armenian traditions and history through his paintings. Mikayel Chamchian, imperial jeweller to the Ottoman Sultan in Istanbul, wrote a grammar of the Armenian language, and a history of the Armenian people, towards the end of the 18th century. A religious leader and writer, Khrimian Hayrik (Migirdiç Hirimyan), worked to improve the lot of Armenian peasants in eastern Anatolia from the 1860s, and argued for self-determination. Interestingly, he served in Istanbul as Armenian Patriarch for a time, recognised by the Ottoman government, while his appeal to the Berlin Conference in 1878 for European support for Armenian self-determination apparently fell on deaf ears. From the early 19th century, the Russian Empire fought several wars against Persians and Ottomans, with the aim, as ever, of forging a corridor for themselves to the warm waters of the Black Sea and the Mediterranean. To further this aim, it suited them to encourage Armenians in a belief that they had common interests as fellow Christians. Armenians fought on the side of the Russians in the 1820s, and again in the 1870s. In the mid-19th century, Britain and France opposed Russian expansion, and even went to war against them, in support of the Ottomans. Later, however, as Russian chauvinism increased from the 1880s, the Tsarist government began to crack down on Armenian nationalism, closing schools and discouraging use of the language. It was at this point in history that Armenian revolutionary movements really began to grow, encouraged by the British, who suddenly started to take an interest in their ‘fellow Christians’. The part played by the increasing importance of petroleum in Western economies could make an interesting study, which I do not, however, intend to pursue here. 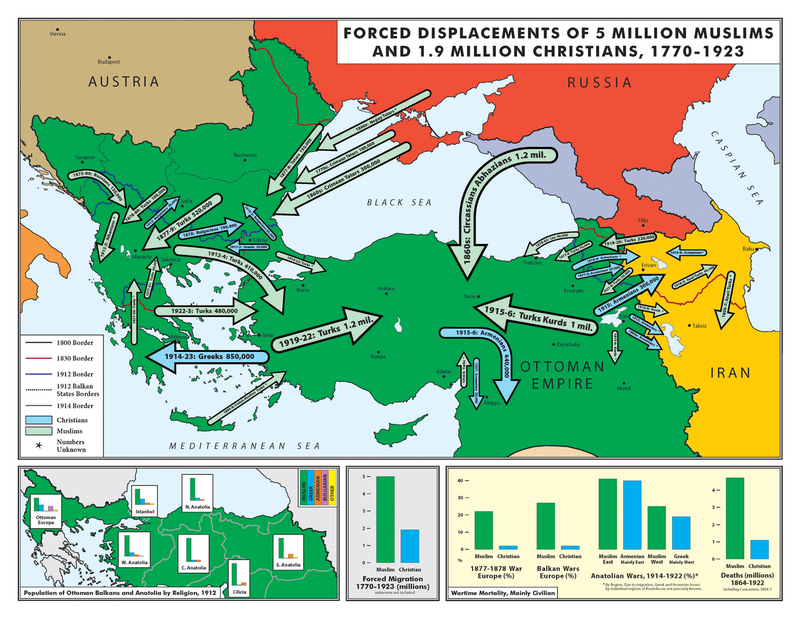 Suffice it to say that the activities of British and American ‘missionaries’ increased towards the end of the 19th century, in parts of Ottoman Anatolia where many Armenians lived, and subsequently revolts broke out against the Ottoman government. You might want to ask why missionaries were necessary when the Armenians were already Christian, but let’s leave that aside as well. From the 1870s, revolutionary Armenian groups such as the Hunchaks and Dashnaks began to incite and carry out acts of violence. Undoubtedly, something very dreadful befell Armenian people in Anatolia in 1915 – but balanced histories acknowledge that Armenians were not alone in their suffering. Justin McCarthy professor of history at Louisville University, Kentucky, has written much on the subject. What seems clear is that there has been, at the very least, a one-sided presentation of a very complex story, to the severe detriment of Turkey’s international reputation. In 1919, shortly after the Armenian tragedy of 1915, Hollywood produced a film, black and white and silent of course, purporting to tell the story of a young Armenian woman who had escaped after horrific experiences in Turkish harems and slave-markets. 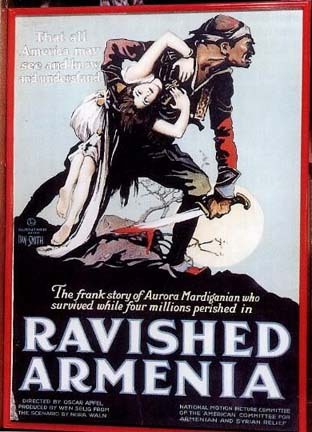 Stills from this salacious film, ‘Ravished Armenians’, occasionally turn up in literature arguing for recognition of a genocide. ‘The new regime in Turkey is a most remarkable evidence of a revolution in form and administration of a government. Briefly, an absolute monarchy has been replaced by a republic. Church has been separated from state and religion eliminated from all law codes. Religion of any kind may be taught in the churches and the mosques, but not in the schools. All persons born in Turkey, without regard to race, religion or nationality, have all rights of Turkish citizenship. The Turkish leaders without previous experience must evolve the new administration. There are bound to be mistakes and the evolution will be slow, but there are many evidences of progress’. An event sometimes cited in anti-Turkish propaganda is the Turkish (more properly Ottoman) Courts Martial of 1919-20. The courts were convened to bring to justice, perpetrators of Ottoman atrocities carried out on Armenians and others. One or two convictions resulted in executions, but most of the charges were eventually dropped. 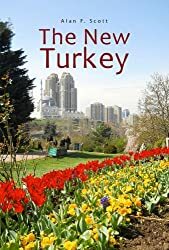 It should not be forgotten that Istanbul was under occupation by British forces at the time, and the Ottoman Sultan with his government were puppets eager to absolve themselves of guilt, to find scapegoats, and to curry favour with the occupying powers. Between 1973 and 1994, Armenian terrorist organisations (or nationalist activists, if you prefer), such as ASALA, carried out attacks on consulates and embassies in several European and US cities, resulting in the deaths of 42 Turkish diplomats and four foreign nationals. Fifteen Turks and 66 foreign nationals were injured in these incidents. The stated aim was to raise world awareness and support for labelling as genocide the events of 1915. Writers such as Vahakn Dadrian, Taner Akçam and Richard Hovanissian continue to turn out publications attacking Turkey and demanding the recognition of an Armenian Genocide, despite having been caught out on numerous counts of mistranslation of documents, selective reporting, and misrepresentation of facts. Most recently, the French government of Nicholas Sarkozy has been trying to proscribe attempts to counter accusations of genocide against Turkey. Striking a blow for justice and democracy, the French Constitutional Council have apparently rejected the draft law as unconstitutional, obliging the French President to return to the drawing-board and reconsider his vote-catching exercise. The Pandora jar of nationalist ideology was opened more than two centuries ago, and it is way too late now to re-stopper it. Politicians and power-seekers in Turkey and Armenia, in Europe and the Balkans, even in the United States of America, are only too willing to enlist the support of the ignorant and disaffected by employing nationalist rhetoric to arouse hatred and instigate violence against a stereotyped enemy. Organised demonstrations such as the one in Taksim Square serve only to stir up nationalistic fervour and focus aggression. All that remains in the ideological jar is hope – the hope that voices of reason and moderation will prevail, and past wrongs can be forgiven and forgotten. The alternative is too awful to contemplate.